Please note that cell and home telephone numbers are not published here. Reporters seeking this contact information or other assistance in finding an expert should call University Communications at (415) 338-1665. Rabab Ibrahim Abdulhadi is an expert on the Middle East. She is also very involved in the new Arab and Muslim Ethnicities and Diasporas Initiative (AMED) minor program. Abdulhadi is originally from Nablus, Palestine. Fred Astren is an expert on Judaism, Jewish history and Israel-Palestine issues. Nathan Avani is an expert on mentoring middle and high-school age youth and adults, and on the benefits of intentionally small schools for improved student learning. Bruce Avery's expertise is in Shakespeare's life and work and teaching Shakespeare. JoAnn Aviel is an expert on foreign policy analysis and Latin American foreign relations. Sheldon Axler, a professor of mathematics, is the former dean of the College of Science and Engineering and author of textbooks on algebra, trigonometry and calculus. Mohammad Azadpur is an expert on Islamic thought and ethics and is fluent in Persian. Cristina Azocar is an expert on representation of race and diversity in the media, ethnic media, and the social and psychological effects of mass media. Sanjoy Banerjee is an expert on South Asia, including the relationship between India and Pakistan, nuclear weapons in the region and the international politics of the conflict in Afghanistan. A professional actor and story-teller, Carlos Baron is an expert in acting, directing and multi-cultural theatre. He has used SF State students in his productions that have been performed on and off campus. Joseph Barranco is a theoretical physicist who uses 3D simulations to study how the spinning gas and dust around newly-formed star forms into new planets. Brian Beatty is an expert on the design and delivery of HyFlex courses: educational classes that are hybrid, combining in-person learning with online learning. Matthias Beck works in discrete and computational geometry and analytical number theory. He is particularly interested in problems and applications connected with lattice-point enumeration in polytopes. Paul Beckman is an expert in human performance, wireless networks and issues of social connectedness on task performance. 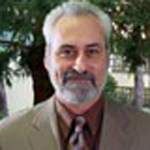 In addition to his research, Beckman has worked as a systems analyst at Hewlett-Packard. Maziar Behrooz is an expert on the modern history of the Middle East, particularly the social, political and intellectual history of Iran, including the present day. Beitiks is an expert on disability justice and reproductive justice issues for people with disabilities, including sterilization and prenatal testing. Her dissertation, "Building the Normal Body: Disability and the Techno-Makeover," looked at cultural stories told about disabled bodies normalized with science and technology. Peggy Benton is an expert on the integration of computers, video and multimedia in classroom teaching and teachers' professional development, particularly how computer graphics and virtual reality can improve learning. Daniel Bernardi is a noted media and cultural studies scholar with a focus on critical race theory, early cinema and the role of whiteness in film and television. His publications include "Narritive IEDS: Rumors, Islamic Extremism and the Struggle for Strategic Influence," "Filming Difference: Actors, Directors and Writers on Gender, Race and Sexuality," and "Star Trek and History: Race-ing Toward a White Future." He is currently studying the impact of rumor on counterinsurgency operations. Subodh Bhat is an expert in brands and brand management. He has commented widely in national media about corporate branding marketing choices and branding disasters. Roger Bland is an expert on underwater acoustics who analyzes the songs and calling patterns made by blue whales and toadfish (plainfin midshipman). 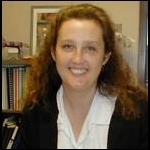 Betsy Blosser is an expert on educational television and its effects on society. In addition to her research, Blosser has taken students SF State students on international trips to film public service announcements for foreign non-profit agencies. Ali Borjian is expert on effective teaching for children who are English language learners. Scott Boswell is a filmmaker and film instructor who has completed numerous shorts and the award-winning feature film "The Stranger in Us" (2010). Previously, Boswell ran The Factory, an Oakland-based short film production collective for urban teenagers. Boswell currently acts as the Production Coordinator in the Cinema Department, where he teaches classes in film production, directing and screenwriting. In his spare time, Boswell runs a feature screenwriting group and directs plays with San Francisco theater companies. Karen Bruhns is an expert on the ancient cultures of Central and South America, and on the forgery of Precolumbian art and artifacts. Gustavo Calderon is an expert in pre-Hispanic cultures and the history of Colombia. Melissa Camacho is an expert in mass media and depictions of women in mass media with an emphasis on television. Camacho has commented widely in national media about contemporary television. Troi Carleton is an expert on indigenous and endangered languages of the Americas and the history of the English language. Dr. Carrington is a sociologist and sexologist focused on lesbian and gay family life and relationships, gay male friendship, gay male sexuality, sexual orientation(s), substance use and abuse among sexual minorities, and the relationship of work to family life for sexual minorities. Rick Castaldi is an expert on small businesses and has performed extensive research in the U.S. wind industry, including e-commerce, environmental sustainability, and international trade. Nicholas Certo is an expert on the inclusion of young adults with disabilities in education and the workplace. Anoshua Chaudhuri is a health economist with expertise on health care systems and health financing in developing countries, particularly South Asia and the health of elderly people and children. Vivian Chavez is an expert on community organizing for public health issues. 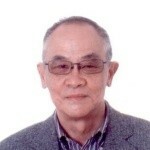 Yu-Charn Chen is an expert in computer-aided design and industrial technology. 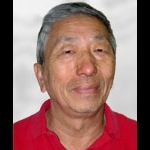 Chen has taught courses in electrical drafting, electrical engineering, electronics engineering, electrical material science, and electrical technology. He previously was an electrical communications officer in the Chinese Air Force and has worked as a design engineer for several companies in the Bay Area. A former public school teacher, Laureen Chew advocated for the bilingual programs in San Francisco Unified School District. Chew was one of the students at SF State who organized the 1968/69 student led strike for more faculty of color and ethnic studies curriculum. Jensen Chung is an expert in organizational leadership and communication. Chris Clemens is an experienced director, video editor and production assistant. He studies and teaches on the subjects of portrayals of sexuality and gender in the media and the effects of mass media on society. William Cochlan, whose research lab is at the Romberg Tiburon Center for Environmental Studies (RTC), is a biological oceanographer and marine microbial geneticist who studies how environmental changes affect the physiology of phytoplankton and bacteria. His recent research, published by the Proceedings of the National Academy of Sciences, looks at the effectiveness of iron enrichment on the oceans. With appointments at the Department of Biology, and at the Robert Tiburon Center (RTC), Sarah Cohen's research interests are in how ecological, behavioral and environmental features shape evolution and genetic systems in diverse organisms. Most of her work is in marine and estuarine settings. Robert Collins is an authority on African and Native American cultures in the Americas as well as the ethnic identification of persons who are of both African American and Native American heritages. Collins is of African-Choctaw descent. Roy Conboy is a Chicano playwright, director, and teacher, and is the head of the Playwrighting Program at SF State, teaching in both Theatre Arts and Creative Writing. His plays and those of his former students have been produced on stages across California and the United States. Jamal Cooks is an expert on the connections among education, popular culture and hip hop, particularly the use of hip hop to teach literacy in schools. Jeff Cookston is an expert on father-child relationships, particularly during adolescence, and how families and children adjust during and after divorce. Adrienne Cool is an expert on globular clusters (dense aggregates of stars) and the exotic types of star found within them, including binary stars (pairs of stars that orbit each other), blue stragglers and white dwarf stars. Carlos Cordova is an expert on South American countries and populations including settlement patterns, demographics and Latino emigrants from these countries in the U.S.
Sarah Curtis is an historian who studies the role of women and religion in 19th century France. She can also comment on contemporary issues of religious freedom in France, such as government efforts to ban Islamic religious dress in schools. Robert D'Agostino is an expert on the history of Russia, including the Russian revolution and the Cold War and the history of Europe during the World Wars. Rene Dahl is an expert in the field of school age child development. Yvonne Daley is an expert on investigative reporting, narrative journalism, ethics in journalism and reportage of environmental issues and policies. Investigative journalism in the U.S.
Barbara Damashek is an expert in musical theatre. She is the author of many Musical Theatre pieces, most notably "Quilters," for which she was nominated for three Tony Awards, and which has been produced extensively all over the world. Wei Ming Dariotis is an expert on political and social issues involving Asian American mixed race and heritage and interracial relationships, and Asian American literary and cultural studies. Juanita Darling is an expert on the relationship between media and society in Latin and South America and the role of media in social uprisings and independence movements. Harvey Davis is an expert on psychiatric care and mental health treatment. Jerry Davis is an expert on geomorphology (the formation of landforms) and the interactions among soil, vegetation and river channels that form landscape. He is also an expert on the use of GPS and GIS in data collection and analysis of landscape and erosion. Gail Dawson is an expert in painting and new media. Dawson's work explores the interference of media with images, and time and motion. She works between mediums translating video to paintings and drawings, and paintings and drawings to video. Her work can be seen at her webpage linked below. Brian De Vries is an internationally known expert on bereavement and end of life issues and gay and lesbian aging. Dennis Desjardin is an expert on the evolution and biodiversity of fungi species and has discovered more than 200 new fungi species, including luminescent mushrooms. The research in Jane DeWitt's laboratory focuses on understanding the mechanisms of heavy metal accumulation and transformation in higher plant systems from a chemical and molecular perspective. The goals of this research are to determine the change in speciation (oxidation state, geometry, coordination environment) that occurs upon accumulation of the metals by plants and to identify the biomolecules involved in metal complexation, thus providing insight into mechanisms of heavy metal tolerance in plants. Marc Dollinger is an expert in the fields of Jews and American politics, American Zionism and California Jews. Philip Dreyfus is an expert on environmental history, particularly the growth and development of the San Francisco Bay Area and American perceptions and ideas about nature. Dudley's areas of expertise include Criminal Justice, Policing, Special Operations (SWAT Homeland Security), Event Security, and Community Policing. Richard Dugdale co-directs a phytoplankton ecology laboratory at the Romberg Tiburon Center at San Francisco State University. The main focus of the lab is to understand inorganic nutrient (nitrate, ammonium, phosphate and silicate) inputs and fluxes into the coastal ocean and estuaries and how these nutrients affect phytoplankton populations and processes. The lab is involved in a variety of projects around the world, exploring nutrient and phytoplankton dynamics and how they shape ocean primary production and global climate. 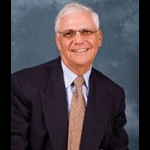 Clay Dumont is an expert on the historical and cultural conceptions of knowing and knowledge, and his work focused on the debates between scientists and Native Americans over the meaning of the Native American Graves Protection and Repatriation Act of 1990. Larry Eilenberg is an expert in contemporary theatre and comedy. He has worked extensively throughout professional theatre and formerly served as Artistic Director at The Magic Theatre, a major theatrical company in San Francisco. He also has taught a number of summer courses for the CSU Summer Arts Program. Linda Ellis specializes in Eastern European culture and archaeology, having conducted archeological, anthropological and socio-political research in this region for over 30 years. Areas of expertise include Ukraine, Moldova, Bulgaria Romania, the Black Sea region and Roman Empire anthropology. Eschleman is an expert on employee wellbeing and job performance. He studies how taking part in self-exploration and creative activities outside of the workplace may affect employee performance and resilience to stress. Jose Ramon Fernandez Pena is the nationally recognized founder of the Welcome Back Program, an innovative program that helps medical professionals who immigrate to the U.S. obtain the necessary training and credentials to practice in this country. Jason Ferreira's teaching and scholarship focus on the history of radicalism within and across communities of color. Mariana Ferreira is a medical anthropologist who studies the social causes of illnesses — how poverty, violence and displacement affect physical health. Her research includes Type 2 diabetes among indigenous peoples and the distribution of breast cancer in the Bay Area. 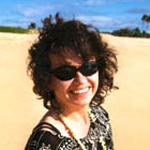 Dawn-Elissa Fischer teaches courses on international Black popular culture, information technology and visual ethnography. She is an expert in studies of sound, music and social justice in international Black popular culture, including non-Black consumer interest in Black popular culture. Co-director of the Sound and Social Justice Commons, Dr. Fischer is also a founding staff member of Dr. Marcyliena Morgan's Hiphop Archive. Connie Marie Gaglio is an expert in entrepreneurship and the identification of opportunities in business and social influences that interact with business opportunity. Marcela García-Castañon is an expert in American politics, Latino politics, immigrant/immigration policy and politics, political communication and methodology. 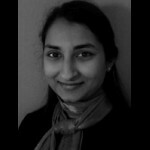 Her research explores notions of membership and citizenship development within immigrant communities and their connection to political and civic engagement. Her current work examines the political membership process of Mexican immigrants in the United States through familial, educational and pre-migration experiences. She has worked in radio and public relations. Sheldon Gen is an expert on environmental policymaking at the city, state and federal level, and education policy in San Francisco, particularly teacher attrition rates. Trevor Getz is an expert on how countries transition to post-conflict healing, particularly after ethnic conflict, and he also studies how societies collectively think about the past and portray it in museums and monuments. Sam Gill is an expert in information systems, systems analysis and design and database management. During his career, Gill has worked as an IT consultant for a variety of companies around the world. Mindi Ann Golden is an expert in the areas of aging, family caregiving, dementia caregiving, communication and aging. Dr. Golden’s research has focused on the experiences of caregivers for loved ones with dementia-causing diseases, grandchildren as caregivers, and communication at the end of life. Dr. Golden’s current book project focuses on how family caregivers experience and manage uncertainty. Ricardo Gomes is an expert in sustainable and socially responsible design. He is also Director of the Design Center for Global Needs in the Design and Industry Department, a non-profit international research and development center dedicated to promoting responsive design solutions to local, regional and global issues such as: inclusive/universal design, health care, the aging, community development and sustainability. Yukihiro Goto is an expert in Asian theatre techniques, specifically Noh, Kabuki, Butoh and Suzuki. In his classes, Goto teaches about the use of Asian theatre techniques in Western classics, introducing students to a fusion of the best in diverse acting traditions and diverse cultures. Claudia Maria Guedes is an expert in Elementary School Physical Education, Teaching Education in Physical Education, and History of Physical Education and Sport in Brazil. Jason Gurdak is a hydrologist and explores the interactions among the hydrologic cycle, human activity and climate that affect the quantity and quality of water resources. Since 2004, he has served as an expert member of a United Nations Educational, Scientific, and Cultural Organization (UNESCO) study to understand climate change effects on global groundwater resources. John Hafernik's research focuses on evolutionary and ecological processes at the population or species level and conservation biology of insects. He is especially interested in the evolution of mating systems, isolating mechanisms, and interactions between insects and their animal plant hosts. Hafernik was formerly the president of the board of trustees of the California Academy of Sciences. Ann Hallum, a physical therapy professor, is an expert on the impact of parents caring for physically dependent, severely disabled adult age children. Andrew Hanami is an expert on U.S. foreign policy, including war strategies. Grace Hardie is an expert in acute asthma and other pulmonary afflictions. Diane Harris researches how family relationships and childhood experiences influence a child's relationship with food, their self image and risk for obesity. She is a clinical psychologist and has her own private practice working with adults, children and couples. 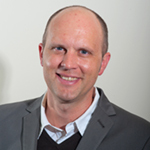 Jason Harris-Boundy is an expert in organizational behavior, entrepreneurship and corporate strategy. He has consulted on leadership development with Fortune-500 executives as well as serving as a member of the board of several non-profit organizations. He has also published research on millenials in the work place. Professor Hayduk is a nationally recognized expert on immigrant voting rights and the author of “Democracy for All: Restoring Immigrant Voting in the U.S.” He has conducted research and published about the impact of voting laws and procedures on voter participation, as well as election rules and administration. Participatory budgeting in the U.S.
Gerard Heather is an expert on ethics and religion in U.S. politics. Bruce Heiman is an expert on innovation in business, international business strategy and place marketing in which countries or regions market themselves to target audiences. Jason Henderson is an expert on the geography and politics of transportation and land use in cities, particularly San Francisco, New Orleans and Atlanta. Colleen Hoff is a clinical psychologist with expertise on how relationship dynamics affect sexual risk among gay couples. Barbara Holzman is an expert on how plant species and communities react to natural and human disturbances such as fire and mining, and has conducted research on Lake Merced and Point Reyes National Seashore. Karen Hossfeld is an expert on Silicon Valley's immigrant labor force, particularly women in production jobs. Ryan Howell is an expert on the link between purchasing habits and happiness and how such factors as personality and an individual's approach to the past, present and future affect their happiness. His research suggests that people gain greater happiness from spending money on life experiences rather than material items. Dina Ibrahim analyzes the post-9/11 visual framing of American television news representation of Arab and Muslim societies, as well as the psychological impact of television depictions on Jewish and Muslim audiences in the U.S. and Middle East. She has reported for the BBC World Service Radio in London, CNN in Atlanta and Cairo, National Public Radio in Austin, Texas, and United Press International in Cairo. She has co-produced an award-winning radio show on KPOO 89.5 FM in San Francisco and currently produces the show ArabTV that airs on San Jose Community Channels 15 and 27. William Issel studies the history of the U.S. since 1900 and is an expert on the role of ethnicity, race, religion, and politics in American cities, particularly the city of San Francisco. Jeung is an expert in Asian American Christianity and secularism; he also studies nonreligious Chinese in the United States. He is the author of "Sustaining Faith Traditions: Race, Ethnicity, and Religion Among the Latino and Asian American Second Generations" (NYU Press, 2012) and "Faithful Generations: Race and New Asian American Churches" (Rutgers University Press, 2005). He also co-produced the video documentary, "The Oak Park Story" (2010), about his organizing work in the Latino and Cambodian communities of Oakland, California. Currently, Jeung is working on a memoir about life in East Oakland. Mark Johnson is the director of the Fine Arts Gallery on the SF State Campus and during his career has curated art shows and written books detailing past and present Asian American art. Karen Johnson-Brennan is an expert on simulation equipment and training techniques for nursing students. Venoo Kakar is an economist with an expertise in macroeconomics, monetary policy, forecasting, macro-finance/banking and applied econometrics. Her research focuses on (1) the impact of monetary policy on the economy; and (2) exploring links between education, economic demography and economic growth. She is currently working on discrimination in the "sharing economy" of the housing market as well as on making google search data useful for better forecasting. Rachele Kanigel is an expert on ethics in journalism, student press and multi-media journalism. Santhi Kavuri-Bauer is an expert in South Asian art and South Asian Art history. Kavuri-Bauer's research focuses on the preservation and representation of South Asian architectural monuments, and the implications of these activities on the construction of social identities, national memory, and political protest. Sherry Keith is an expert on international economic policies, including policies of the IMF, World Bank, World Trade Organization and United Nations, and how they affect women. Amy Kilgard is a noted performance artist with expertise in the intersection of directing, collage and communication. Max Kirkeberg is an expert on the geography of San Francisco neighborhoods and for the past 30 years has led a class that involves walking tours of the city. Denise Kleinrichert teaches classes in business ethics, corporate social responsibility and sustainable business. Her broad areas of research include corporate-decision making and moral leadership. She has also investigated business practices of such companies as Starbucks and Wal-Mart. Kleinrichert is also the organizer of SF State's annual Business Ethics Week, one of the largest business ethics education efforts in the country. Michael Krasny, a KQED public radio talk show host, is an expert in 20th Century American literature. Catherine Kudlick is an expert on disability issues and has served as director of SF State's Paul K. Longmore Institute on Disability since Fall 2012. She is the author of the book "Cholera in Post-Revolutionary Paris: A Cultural History," published in 1996. Gretchen LeBuhn is an expert in ecology and conservation and director of The Great Sunflower Project, a national project to record bee pollination. 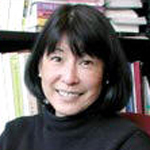 Ming-Yeh Lee is an expert on issues of related to race, class, gender in education, and comparative education. George Lee is an expert on the economy and business as it relates to China. Lee has published widely on economic development in China. Mary Leech is an expert on earthquakes, volcanoes, plate tectonics and the geology of mountain belts. She is currently researching the formation of the Himalayas in India and Tibet and has conducted research in northern Norway, eastern China, and the Ural Mountains in Russia. She is also an expert on the geology of her native California. Richard LeGates is an urban planning expert whose work examines the use of geographic information systems (GIS) in social science research. 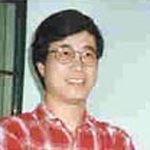 Chris Wen-Chao Li is an expert in Chinese linguistics and language change. Martin Linder is an expert on design for the health care industry. Linder also serves as the executive director of the International Design Outreach Project (iDO), which promotes education through design in schools in the Bay Area. Karen Lovaas is an expert in critical theory, rhetoric of gender, ecology and criminality and punishment. Mary Beth Love is an expert on educating communities prone to particular heath problems including asthma and HIV. Amanda Lueck is an expert on visual impairment, particularly the effects of early brain injury on vision in children and its educational consequences. Sandra Rudnick Luft is an expert on the philosophy of history, the history of ideas and the philosophers Giambattista Vico, Hannah Arendt and Martin Heidegger. Daniel Macallair is an expert on community correction programs and incarceration alternatives that provide rehabilitation for youth offenders. As Professor of Biology in the Health Equity Institute for Research, Leticia Márquez-Magaña works with other scientists, health professionals, and policy makers to make changes that will bring equality in health access and outcomes for all members of our society. Her current research interests focus on disentangling the biologic, sociopolitical and economic causes of cancer disparities in America. Marc Martin is an expert in the fields of family, workplace, organizational mediation, arbitration and negotiation and meeting facilitation. David Matsumoto's work on emotion and facial expressions includes research that suggests facial expressions are innate. His research on how emotion can be used to incite hostility among ideologically-based groups is funded by the U.S. Department of Defense's Minerva Initiative. Joseph McBride is an internationally recognized film historian, journalist and screenwriter. He has written or edited 17 books, including critically acclaimed biographies of Frank Capra, Steven Spielberg and John Ford. He has written three books on Orson Welles, and co-wrote the part for and appeared as a film critic in Welles' film "The Other Side of the Wind." His book on screenwriting, "Writing in Pictures: Screenwriting Made (Mostly) Painless" was published in 2012. His most recent book, "Into the Nightmare: My Search for the Killers of President John F. Kennedy and Officer J. D. Tippit," is the result of McBride's more than three decades of personal investigation into the 1963 Kennedy assassination and the fatal shooting that same day of Dallas Police Officer J.D. Tippit. McBride served as a reporter, reviewer and columnist for "Daily Variety in Hollywood" for many years. His screenwriting credits include co-writing the cult-classic punk rock musical "Rock 'n' Roll High School" and five American Film Institute Life Achievement Award specials on CBS-TV. He has received a Writers Guild of America Award and four other WGA nominations, two Emmy Award nominations and a Canadian Film Awards Nomination. Jason McDaniel is an expert in urban politics and voting behavior, with a particular emphasis on the influence of contextual effects on political behavior. McDaniel frequently comments in the media on issues surrounding political elections and electoral reform. Jan Millsapps is an expert in online and digital cinema. Millsapps' films have been shown at the Smithsonian Institute and de Young Museum among others. Masahiko Minami is an expert in first and second language acquisition and learning and socio-cultural and computer-assisted approaches to language. Julia Miyaoka is an expert in supply chain management, who worked in manufacturing and industrial engineering positions at Applied Imaging, Baxter International and Raychem Corporation prior to coming to SF State. Hafez Modirzadeh is an expert in world music and jazz. An acclaimed saxophonist, Modirzadeh is an expert in ethnomusicology and has continues to develop an interdisciplinary musical approach he calls "Chromodal Discourse." From Tehran to Brown Universities, Chromodal theory has been presented within both musical and scientific academic arenas. Modirzadeh is a fixture on the national and Bay Area music scene and has been awarded two National Endowment for the Arts fellowships. Carlos Montemayor is an expert in Cognitive Science and the Philosophy of Law. Ezequiel Morsella is an expert on how the brain uses consciousness to process requests for action and the difference between the conscious and unconscious circuits in the brain. Joanna Moss is an expert on international economics and globalization. Hideo Muranaka is an expert in Japanese calligraphy and Japanese arts. Jacob Needleman is a well-known authority on ethics, approaches to religion and American values, ideals and cultural criticism. Francis Neely is an expert on American politics and political psychology, including how voters process political information, form attitudes and identify with political parties and candidates. Bill Nichols is an expert in contemporary American and foreign film. He can comment on trends and issues in cinema, as well as historical film movements. A widely-published author, Nichols has written 10 books about various aspects of cinema during his career. Wade Nobles is an authority on black family values and culture in the U.S.
Black culture in the U.S.
Kathy O'Donnell is an expert in advertising and can comment on a variety of advertising issues, from Super Bowl ads to shopping behavior. 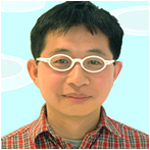 Kazunori Okada has broad research interests in the areas of intelligent computing: computer vision, pattern recognition, machine learning, artificial intelligence and data mining. He has been active in the research fields of medical image analysis, statistical data analysis, cognitive vision and face recognition. Abdiel Onate is an expert on the modern economic, political and intellectual history of Latin America and the Caribbean. Ozgur Ozluk is an expert in spreadsheet engineering and applications of mathematical programming, which he is examining in relation to planning in oil refineries. He is available for interviews in Turkish. Gary Pahl is an expert on the archeology of China's walled settlements and on ancient writing systems. Peter Palmer has 30 years of experience in organic pollutant monitoring and trace metal analysis and 12+ years of experience serving as a science advisor for the FDA. Ayse Pamuk is an expert on low-income housing policy, particularly in developing countries. Thomas Parker is an expert on the ecology and evolution of shrubs and trees in the Manzanita family, and is an expert on Chaparral, the scrubland vegetation that is common in California. My areas of expertise include science fiction fantasy, speculative fiction, utopias, literature of the constructed body (robots, clones, vampires, eating disorders, Frankenstein, etc. ), women's literature, world literature and literature in English, French, and German and narrative and feminist theory. Erik Peper is an internationally recognized authority on biofeedback, self-regulation and stress management. Raquel Pinderhughes is an expert on green collar jobs and how green jobs can lift low-income communities out of poverty. Her green collar job training program is being used across the U.S.
Michael Potepan is an expert on jobs and employment in the San Francisco Bay Area, including analysis of job markets by industry and occupation. 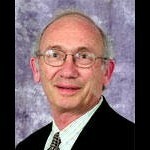 Ron Purser is an expert on organization development, particularly the application of Zen Buddhist mindfulness to management. He is also co-founder of Jazz@Work, a training program that uses jazz to teach managers about creativity, improvisation and innovation. James Quesada is an expert on the social production of disease and distress and has studied the health of day laborers in San Francisco and substance abuse among youth in California. 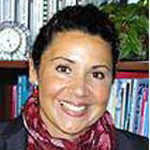 Isabel Quita is an expert on science curriculum and instruction in elementary schools, particularly the teaching of science in multicultural settings. Sonja Lenz Rashid is an expert in adolescent and young adult mental health. Dina Redman is an expert on incarceration and criminal justice. Formerly a research fellow at the Public Policy Institute of California, Belinda Reyes is an authority on immigration policy and the social and economic progress of racial and ethnic groups in the United States. Naturalization in California and the U.S.
My areas of expertise include California culture; San Francisco counterculture; political journalism in California, especially Ramparts magazine and Carey McWilliams; the Grateful Dead. Johnetta Richards is an expert on African American culture and the history of Black women in America. Ben Ridgway has 13 years of professional experience in the academic world and as a 3D artist in the video game world, where he helped create games for Nintendo, Sony and Microsoft. He has been making experimental animations since 1992 and his films have been showcased at film festivals worldwide and received numerous awards. Mark Roberge has an expertise in teaching English as a second language. Dr. Nina S. Roberts is an authority on race/ethnicity, culture and natural resources and is nationally known for her work regarding urban youth and women and girls outdoors. She is also Director of the SF State Pacific Leadership Institute. Todd Roehrman is an expert on costume design. Some of his credits include productions for South Coast Rep., Shakespeare Santa Cruz, Shakespeare Festival/L.A., the Mark Taper Forum, San Diego Rep., Intiman Theatre Co., The Matrix Theatre Co. and Pacific Dance Ensemble. He has received several Drama-Logue Critics Awards for his professional stage work. Erik Rosegard is an authority on the social psychological aspects of leisure and recreation, as well as wellness and quality of life issues. Sandra Rosen is an expert on orientation and mobility -- helping people with visual impairments develop the skills needed for safe, independent travel. Caitlin Ryan is a leading expert on the psychology and sociology of gay, lesbian, bisexual and transgender youth. Mohammad Salama is an expert in the fields of Egyptian culture, languages and political history. Emma Sanchez-Vaznaugh is a social epidemiologist whose research focuses on two interrelated strands: (1) Racial/ethnic and socioeconomic disparities in health and (2) the impact of policies and environments on health and disparities with a focus on obesity, maternal and child health, food, physical education policies and neighborhood conditions. Jillian Sandell is an expert on representations of race and gender in American culture. Joel Schechter is an expert on Yiddish Theatre, Depression-era theatre and the Federal Theatre Project. At SF State, he has planned and produced "The Congress of Clowns: A Conference on Comedy," coordinated the Circus Arts and Russian theatre workshops for CSU's Summer Arts program and SF State's collaboration with the San Francisco Mime Troupe's Youth Project. Sanjit Sengupta worked in sales and marketing in India. He has published widely in his career about the marketing of technology. Scott Siegel's research centers on issues related to the European Union, comparative European politics and international political economy. His first book, "The Political Economy of Noncompliance," published in 2011, explains why some EU member states violate European law more than others. His other publications include: Bearing Their Share of the Burden: Europe in Afghanistan" (2009) and "Weighing Macedonia's Entry Into NATO" (2010). Roblyn Simeon is an expert in international business, comparative management and cross-cultural management. Before beginning his academic career, Professor Simeon worked on Wall Street and in Tokyo as a financial and securities analyst for American Express, Daiwa Securities and Swiss Bank. He is available for interviews in Japanese, French and Spanish. Business trends and issues in the U.S.
Robert Smith is a nationally-recognized expert on African American politics whose research has examined comparisons between President Obama and President Kennedy, and the relationship between conservatism and racism in the U.S.
Miriam Smith is an expert in media and Internet law and management of media. Prior to coming to SF State, Smith worked as a lawyer handling intellectual property cases. Dee Spencer founded the jazz studies program at SF State and is a renowned composer, performer and vocalist who has played on stages across the world. Marc Stein, the Jaime and Phyllis Pasker endowed chair in history, is an expert on constitutional law, social movements, and gender, race and sexuality. He is the author of "Rethinking the Gay and Lesbian Movement" (2012), "Sexual Injustice: Supreme Court Decisions from Griswold to Roe" (2010) and "City of Sisterly and Brotherly Loves: Lesbian and Gay Philadelphia" (2000). Stein is also the editor-in-chief of the three-volume "Encyclopedia of LGBT History in America" (2003). Gaurav Suri is an experimental psychologist and a computational modeler who studies the brain mechanisms that shape motivated actions and decision making. 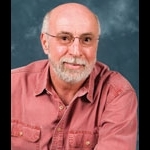 He is the director of the Readiness, Activation and Decision-making Laboratory (RADLab) at SF State and teaches undergraduate courses in social psychology, neuro-economics, regression theory and decision making. Dean Suzuki produces and hosts "Discreet Music," a radio program featuring experimental, unusual and obscure music on KPFA-FM in Berkeley. As a music critic and journalist, he contributes to several publications, including Musicworks, Progression, Expose and Goldmine, among others. David Tabb is an expert on national politics, particularly Latino politics and voting patterns. He can also comment on the role of the media and the internet on political campaigns and voter turnout. Tate is an expert on gender identity, especially transgender spectrum experiences; sexual orientation and identity; and racial and ethnic identity in the United States; as well as prejudice and discrimination regarding gender, sexual orientation and racial categories. Racial and ethnic identity in the U.S.
Patrick Tierney is an expert on the economics of eco-tourism and sustainable travel and resort development. Jassen Todorov is a world-renowned violinist, having performed on stages around the world. Born in Bulgaria, at 26 Todorov became the youngest musician to record all six violin sonatas of Eugene Ysaye. Off the stage, Todorov is an avid pilot, holding a commercial pilot's license. Andrei Tsygankov is an expert on Russian politics and the relationship between Russia and the west. Joseph Tuman, a well-known broadcast political commentator, is an expert on political rhetoric, the first amendment, and the rhetoric and symbolism of terrorism. My areas of expertise include advertising, branding, brand management, services marketing, experiential marketing, customer experience design, experiential design, big design, risk marketing, risk consumption, adventure business, outdoor business, outdoor industry, extraordinary consumption experience. Constance Ulasewicz is an expert in the fields of sustainable fashion and clothing development. Buddy Ungson is the Y.F Chang Endowed Chair in international business. He has authored more than 40 publications and five books about business strategy and global business. IIona Vandergriff is an expert on German language and linguistics. Daniel Vencill is an expert on macroeconomics, recession and commodity prices such as oil and gold, and he can provide analysis of the current U.S. economy. My areas of expertise include sports and culture, including gender, race, politics, history, and intersections between food and sports. Lucia Volk is an expert in post-Civil War Lebanon, efforts at rebuilding the state and the tension between ethno-religious and national identities. She also studies Arab refugees and migrants in Europe. David Walsh is an expert in the field of working with at-risk and underserved youth. Former police officer with the New York Police Department. Crime, policing, race, investigations, social class and criminal justice issues, fraud, riots and constitutional criminal law. Linda Wanek is an expert in orthopedic physical therapy and movement dysfunction of the lumbar spine. Rhonnie Washington is an expert in acting and directing. He also advises the Brown Bag Theatre Company on campus. Washington frequently appears on the stage in San Francisco as part of the highly praised experimental ensemble, Thick Description. Nicole Watts is an expert in ethnopolitical and national movements; state-society relations; protest and dissent; and Kurdish politics and mobilization, particularly in Iraq and Turkey. She is the author of several books, including "Activists in Office: Kurdish Politics and Protest in Turkey," and the co-editor of "Negotiating Political Power in Turkey: Breaking up the Party." She is currently working on a book on politics and protest in the Kurdistan region of Iraq, and has been conducting research there since 2009. Watts is associate editor of the peer-reviewed European Journal of Turkish Studies, and is a former co-director of the Middle East and Islamic Studies program at SF State. Nancy Wilkinson is an expert on issues and controversies surrounding water resources, particularly attitudes toward large dams and their impacts. Yumi Wilson specializes in social media and branding, offering workshops to nonprofit leaders, lawyers, educators, students and others across the country. Among her clients were journalists from Consumer Reports magazine and four major news outlets in China. Wilson is a former news reporter and editor for the San Francisco Chronicle, the Associated Press, the San Jose Mercury News, the Modesto Bee and the now-defunct Los Angeles Herald Examiner. She is also the recipient of the Fulbright grant and prestigious Knight-Wallace journalism fellowship. Most recently, she worked as a corporate communications manager at Linkedin, where she traveled around the world, teaching hundreds of journalists, executives, and employees how to build their brand on LinkedIn. During her three-year tenure, Yumi devised training sessions in Belgium, Canada, New York, Chicago and many other places. She also specialized in profile optimization for high-profile politicians and celebrities, including Carly Fiorina, Oprah Winfrey, chef Mario Batali and Bravo host Andy Cohen. Michelle Wolf teaches courses in the areas of media literacy, electronic media and social issues, pedagogy, and qualitative audience research. Nine threads run through all of her classes and much of her research: body, class, disability, gender, generation, geography, race/ethnicity/whiteness, religion, and sexual orientation. She has been active in media literacy efforts and issues surrounding electronic media representations of disenfranchised groups since the 1970s, and she conducts qualitative research on media literacy, pedagogy, and the range and diversity of mediated images of groups without power. She is currently completing phase two of a 20-year research project on media, body image, and self-conception by focusing her research on bisexual, gay, and heterosexual men, and women with physical disabilities. An award-winning documentary featuring her early body image research was produced in 1999. In fall 2007 Professor Wolf was the first faculty member on the SF State campus to receive the Sarlo Excellence in Teaching Award. Eva Sheppard-Wolf is an expert on early American history, particularly the history of race and slavery. History of race and slavery in the U.S.
Pamela Wolfberg is an expert on the social inclusion of children with autism spectrum disorders and has developed a play therapy model for autistic children called Integrated Play Groups. Yim-Yu Wong is interim dean of the College of Business and an expert in cultural differences in the work place and global management strategies. Bernard Wong is an expert on urban and economic anthropology, particularly the impact of globalization on family, entrepreneurship and the ethnic identity of Chinese communities in the U.S., Japan and the Philippines. Christian Wright is an expert on human resources selection tools, such as interviews, written tests and personality tests, and he studies issues surrounding job applicants faking answers on recruitment tests. Darlene Yee is an expert in the fields of aging and minority women's health in the U.S.
Grace Yoo is an expert on Korean American life, particularly health issues. Lena Zhang is an expert in Chinese American media and multicultural communication, especially as it relates to new forms of technology. Susan Zieff's extensive research focuses on public policy involving physical activity and the socio-cultural aspects of sports and exercise, including San Francisco's Sunday Streets program.